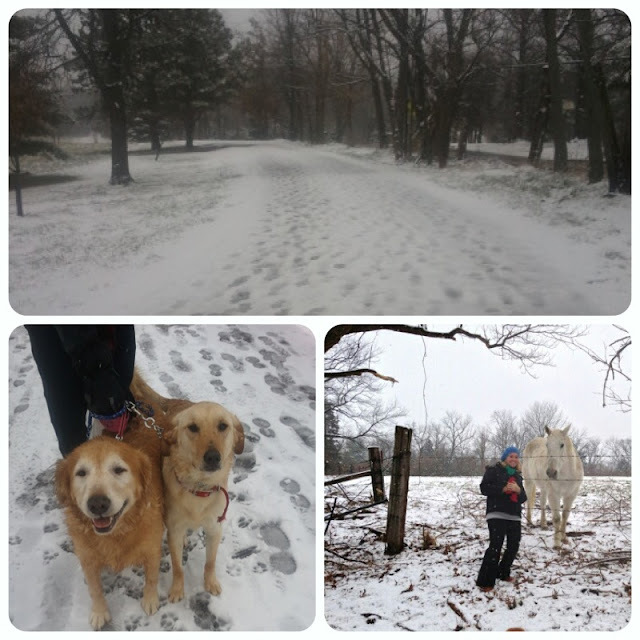 Steven and I spent New Year's Eve day walking in the beautiful snow! 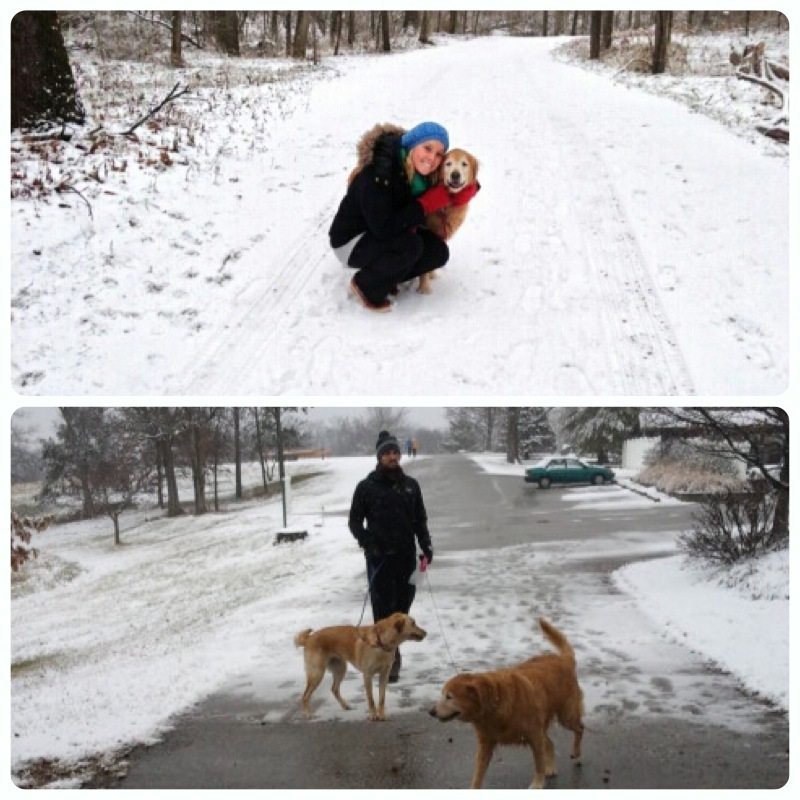 We took Miley and Missy and they loved every minute of it. 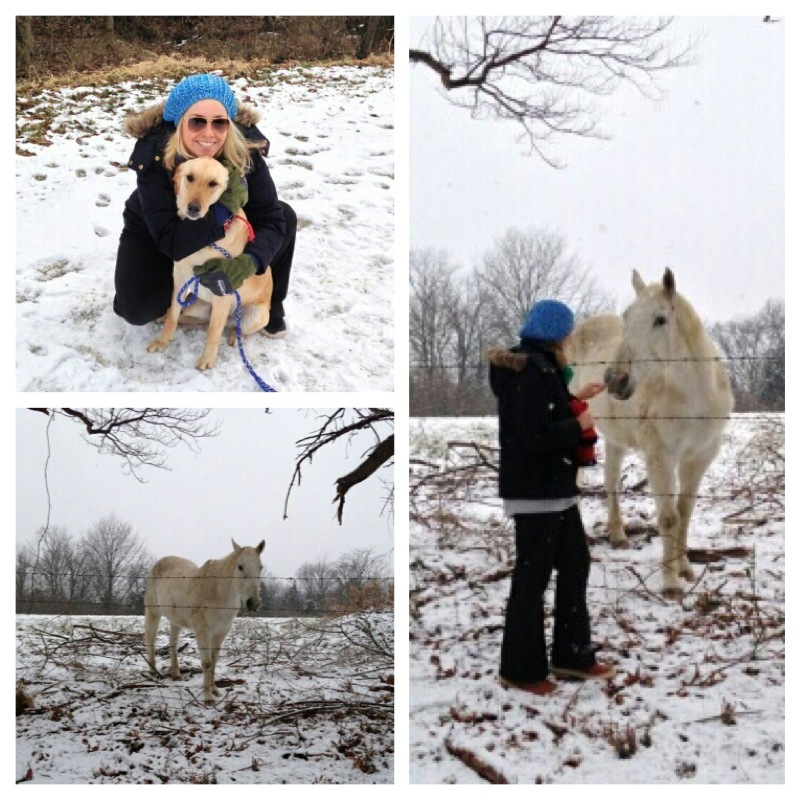 We even made a new friend with a very loving horse. Happy 2013!